Synopsis: A no name Master who had resigned from the world of martial arts was 100 years old. That old master had forgotten enemies whom he had been killed, even now their relatives or disciples were plotting revenge on him. Even some big nations offered a big reward for his head. The old master knew his death is near, but before he met his end, he wanted to write his story, to reveal the secrets that are hidden. 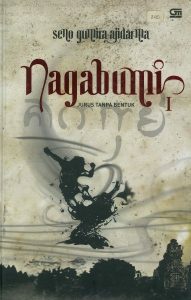 Nagabumi, a story of common people who saw world of martial arts as fable and legends, about martial artists who became exiled from common life, because it was his goal to reach the wisdom of the dragon. Nagabuni is a drama among the martial artists, fight with deadly fighting styles and jutsu, politics and scheme of kingdoms, clashes between great philosophers from Nagasena to Nagarjuna, and heart-pounding romance of the VIII-IX centuries.